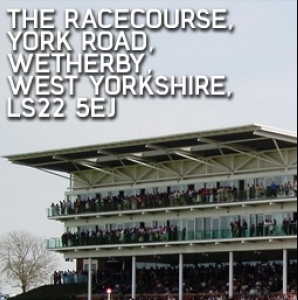 The ICT for Education national conference programme reaches Leeds on 26 April 2013 at Wetherby Racecourse. Gail will open the conference with a presentation on learning, ICT and the future of schools and the local authority. She will consider the role of the local authority within a changing agenda, schools and learning for the future, and the place of ICT in learning. This presentation will explore whether the next generation of teachers is being prepared to support children in a digital world. This presentation will outline Robin Hood Primary School's progress in integrating and using Apple iPads across the curriculum. Alison will share photos and videos of the iPads in use and detail some of the outcomes created by pupils. Panel members: Bob Harrison, chair of the Teaching Agency ICT Expert Group and the Teaching Schools Technology Advisory Board; Gail Webb, head of learning improvement for Leeds County Council; Chris Sharples, head of ICT/ ICT consultant at Lady Lumley's School; Steve Bunce, independent education consultant. Electronic books are available to buy instantly, but what are the opportunities for schools to create their own? In this presentation, Steve will look at making books in schools, especially books linked to iPads, and discuss research with Hull University on the creation of electronic books. Alsion is a teacher and ICT coordinator at Robin Hood Primary School.Alision is a teacher and ICT coordinator at Robin Hood Primary School. Gail is head of learning improvement for Leeds County Council, a role that encompasses working with schools, academies and other learning providers to deliver high quality education to children and young people. The focus of her work is to lead school improvement by working closely with senior leadership teams and governors, providing advice and guidance, and offering challenge when appropriate. Other highlights of Gail’s career include her appointment in 2006 as programme director, learning and teaching, at National Strategies, a national role developing the learning and teaching framework. Gail’s teaching experience spans both secondary and primary, and she became a headteacher in the primary sector before moving into local authority work. She is passionate about learning and teaching and continually seeks ways to ensure children and young people are enabled to become learners of the future, for which ICT is critical.